So Are Your Payment Options! At the bottom of the page, you’ll see information about discounts, fees, returning DVDs, and more. Tuition & Books includes video lessons, video manual, progress reports, test/quiz books and keys at no extra charge. 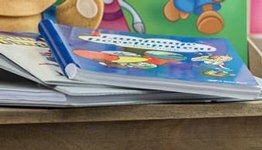 Plus, you get your child’s books in the correct editions. It’s everything you need! Note: Tax not included in the amounts below. For a specific list of books needed for each grade (included in a tuition & books enrollment), see Courses and Materials. 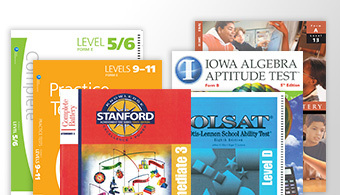 Extra Credit—Your full-grade 7–12 enrollment includes 6 credits. If you choose to enroll for 7 credits, the additional course will cost between $120–190; customer service will contact you to let you know the price and complete your purchase. Tuition Only includes video lessons, video manual, progress reports, test/quiz books and keys at no extra charge. It’s everything you need except the books! Payment in Full—Pay the full amount when you add the enrollment to your cart and check out. 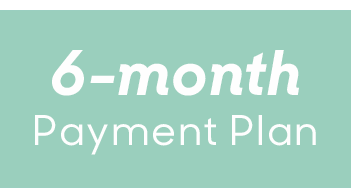 6-month Payment Plan—Pay $250 down and the rest in six monthly payments. A $250 down payment plus any applicable taxes and fees will be charged to your credit or debit card when you check out. 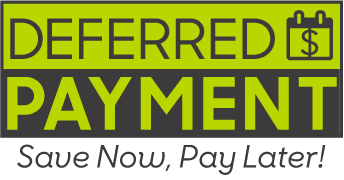 The remaining balance will be charged in 6 recurring monthly payments starting within the next month after you purchase. You can choose the date from the 1st to the 28th. 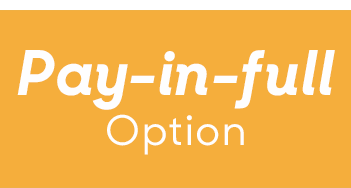 Choosing the payment-plan option means you agree to allow Abeka to automatically charge your credit or debit card for each monthly payment on its due date. 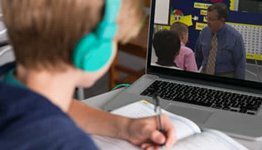 Missed payments may result in late fees and interrupted access to video streaming and digital assessments. Work submitted for accredited enrollments will not be graded unless an account is current. 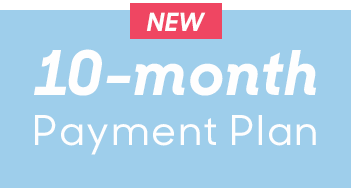 10-month Payment Plan—First payment due at checkout and the rest in 9 monthly payments. The first payment plus any applicable taxes and fees will be charged to your credit or debit card when you check out. The remaining balance will be charged in 9 recurring monthly payments starting within the next month after you purchase. You can choose the date from the 1st to the 28th. All military are eligible for a 5% discount on Abeka enrollments (available at Materials Displays, Online Events, and conventions. Military ID required). Full-grade, full-year enrollments for K5–grade 12 are eligible to receive a $50 early enrollment discount if the application is received between March 1 and June 29, 2019. If using the payment plan, $50 will be credited toward your last monthly payment. New students in K5–grade 12 enrolling into a full-grade, full-year enrollment for the first time with Abeka may be eligible to receive a $50 New Student Discount. Application must be completed at a homeschool materials display or an online event between March 1 and September 14, 2019. Student may not have been enrolled in Abeka since March 31, 2018. If using the payment plan, $50 will be credited toward your last monthly payment. If you must cancel the program, contact the Abeka Office immediately at 1-877-223-5226 for a return authorization and instructions for canceling. If all Video Enrollment material is received between 30 and 60 days of the assigned begin date, regardless of condition, full credit minus a 10% cancellation fee will be given. If all Video Enrollment material is received between 60 and 90 days of the assigned begin date, regardless of condition, full credit minus a 25% cancellation fee will be given. No credit will be issued for Video Enrollment material received after 90 days from the assigned begin date. If required Video Enrollment material is not received within 30 days of contacting Abeka to cancel, your Video Enrollment and applicable fees will be restored and the return authorization will be canceled. Monthly statements will be issued and can be viewed online. Preferred begin date to start school year is chosen by parent (subject to office approval). End date is 12 months from begin date. If a student is unable to begin by assigned begin date, contact Abeka Office within thirty days of original begin date. Begin dates may not be changed after student has begun the program. To ensure all materials reach you properly, please notify the Abeka Office immediately of any address changes. After submitting your International Enrollment Agreement, please allow at least 2–3 weeks for processing time in our office to complete your order. Once an International Enrollment Agreement has been received, additional information may be needed for verification. This process can delay delivery times. Students may be enrolled at any time during the year; however, if a fall “begin date” is desired, it would be best to enroll early in the summer or in the spring as early as March 1. NOTE: All custom and duty fees are the responsibility of the customer. Abeka offers a variety of trackable shipping options. Once your enrollment is submitted, Abeka will contact you with a list of shipping options and prices. Enroll online to receive immediate shipping options and prices. Shipping within the contiguous U.S. is free when materials are shipped by Abeka’s preferred method. All deliveries require a street address and phone number. Please note that documentation (such as a commercial invoice) for forwarding materials to an international location will not be available for materials originally shipped to the contiguous U.S.